So much has changed in regards to technology through the years that it seems almost impossible to talk about it all. 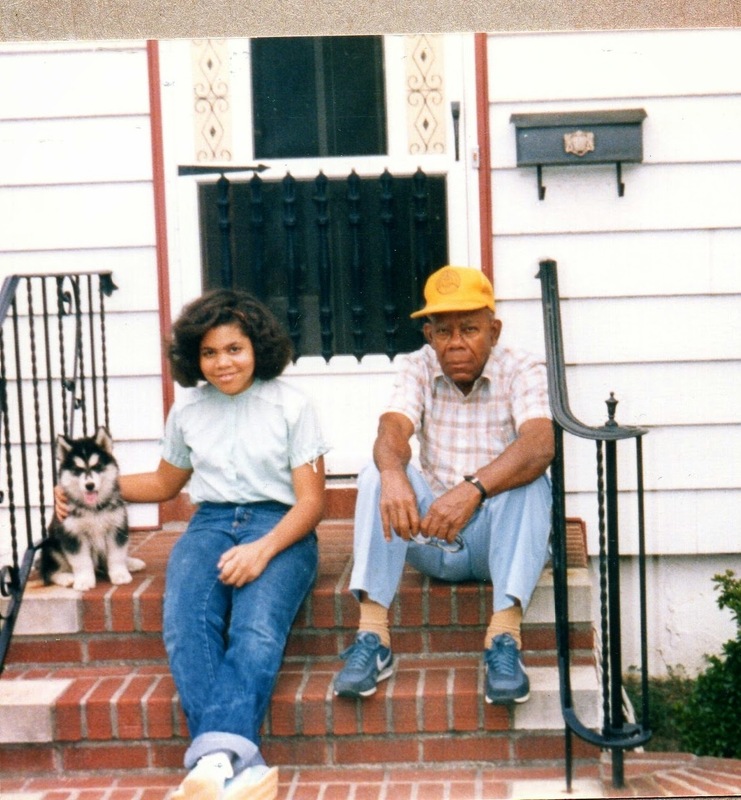 I am going to use my paternal grandfather Harold Murrell as an example for this exercise. He was born on August 16, 1903 in St Philip Parish, Barbados, so the changes he saw in technology until his death in 1996 were just absolutely astounding. 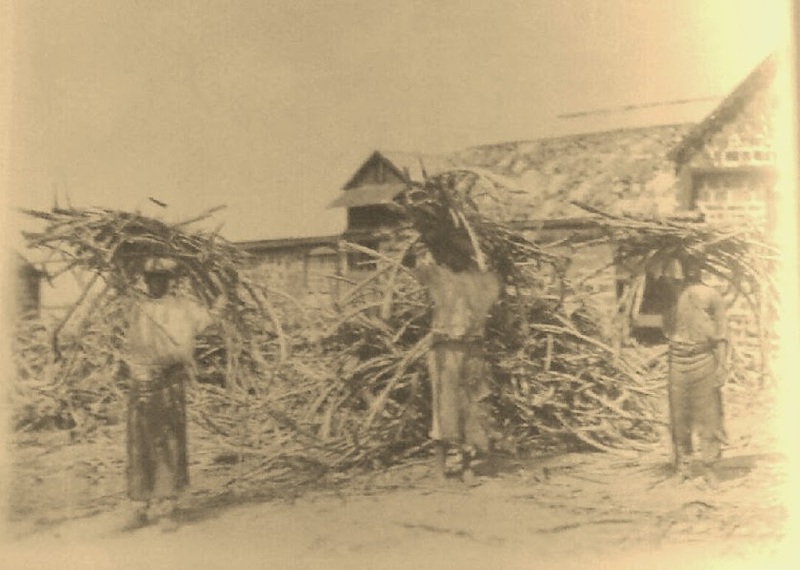 "Labourers Heading Cane To The Mill"
Me and grandpa sitting on the front steps of his house. 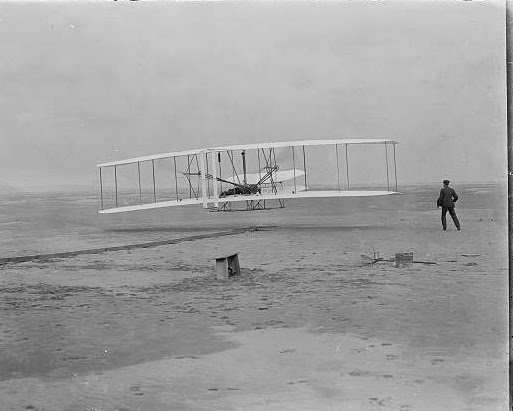 1903 --First Flight by the Wright Bros.
1919 --Pop-up toaster was invented Charles Strite. 1945 --First atomic bomb test. 1951 --Video tape recorder invented by Charles P. Ginsburg. 1958 --The first computer modem. 1985 --The introduction of Microsoft Windows operating system. 1993 -- The Pentium processor. **Information for this timeline came from the following website: http://inventors.about.com/od/timelines/a/twentieth.htm. If I could just go back in time and have one more conversation with him, one of the things I would ask is what he thought about all the changes he had seen during his lifetime. Black and white TVs --my brother used to have one in his bedroom when we were kids. My first TV set that I purchased on my own was black and white. This was back in 1990 when I was a freshman in college. Rabbit Ears (Antennaes) for the television --Now most people have cable or satellite television so clear reception really isn't much of an issue anymore. Mix Tapes --The art of creating the perfect Mix Tape. Ahh yes I remember those days. You would go through your music collection (which was also on cassette tape) and pick and choose the perfect songs and record them on yes another cassette tape in just the right order so you would have the perfect mood music for a date or hanging out with friends. Now we have iPods and Pandora to do this for us. Rotary Phones --We were rotary phone hold-outs. Touch-tone service cost more money so we stuck with those old school phones until I think the mid 1990's. I will have to double check with mom on this one. Typewriters and Word-Processors --I had both. The first typewriter I ever used was an old green one my parents had. I don't even know what brand it was. When I reached high school, my parents bought me an electric Smith Corona typewriter and then before I went away to college I moved up to a Word Processor. It had a little four inch screen and had it's own little hard discs to save my work on. I thought I had arrived when I received that thing. Now those pieces of equipment are things of the past. I can't live without my laptop now. I love technology. Anything that makes my quality of life even better, I can get on board with. In my lifetime --personal computers and the internet.